UFCW is a key partner in the world’s largest food drive, which for 25 years has delivered millions of pounds of food to pantries across America. By joining together, we have an amazing opportunity to make a difference in the lives of millions of America’s families who go hungry every day. In a nation where no one should go hungry, we can help feed millions of families with food made by union members. 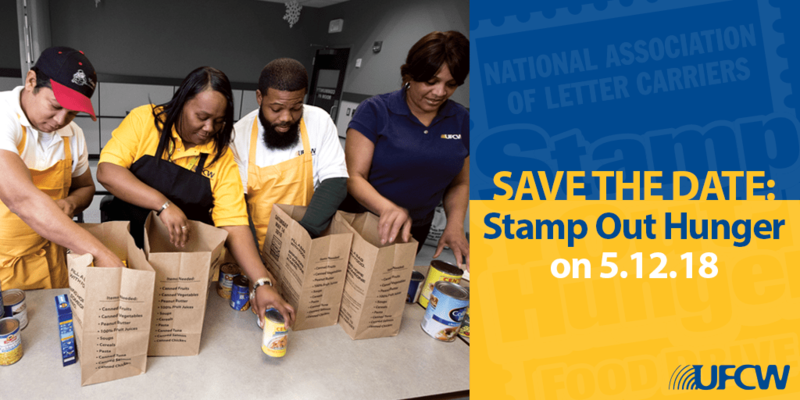 We hope you will join us in our efforts to “Stamp Out Hunger” and fill your donation bag with non-perishable goods that are made by our very own UFCW members all around the country.